Hand-forged of solid iron bar. Graceful curves and seamless joinery make this a particularly fine example of contemporary ironwork. 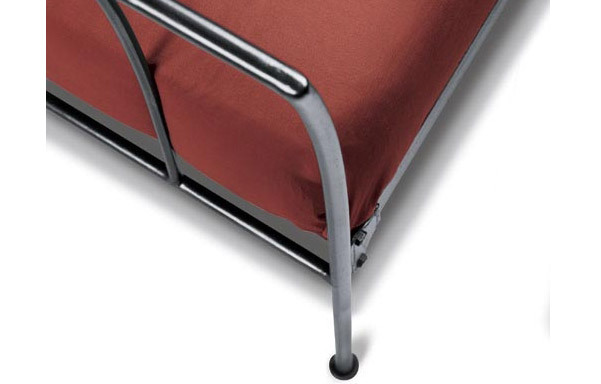 Optional trundle stores a mattress underneath which pops up for use as a second bed. 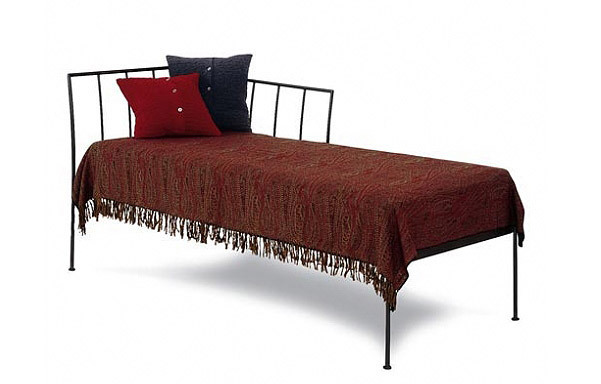 Available in traditional daybed or twin size. Review: "I was very happy with this bed - we purchased the 33" chaise with trundle for our guest bedroom/office. 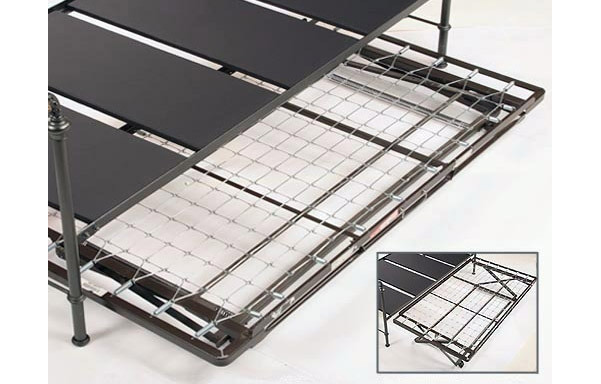 It works very well in the space - it's not too big but still provides sleeping for 2 people. Very easy to put together and when we discovered we were missing a part, they sent it to us very quickly at no cost." 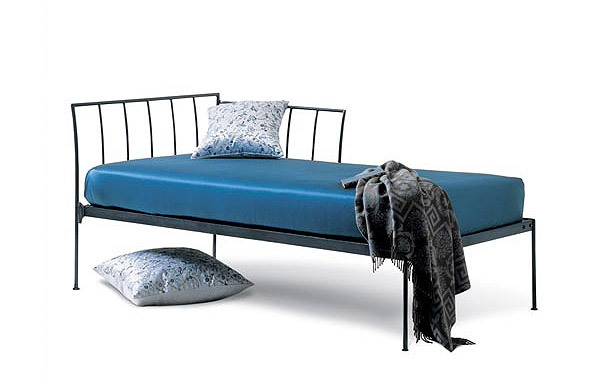 Review: "I bought the Milan day bed because Tintin was coming to visit. 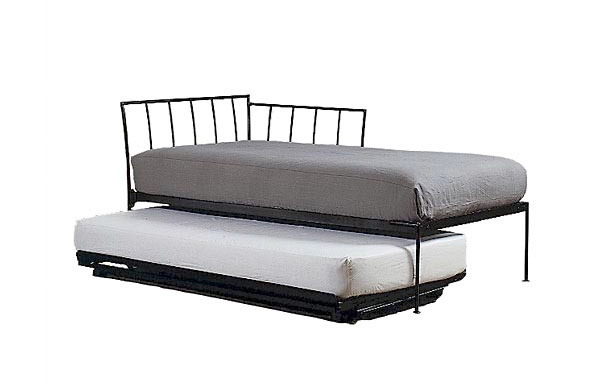 I live in a studio apartment and I needed a bed that was not overly large and that was really two beds in some form. 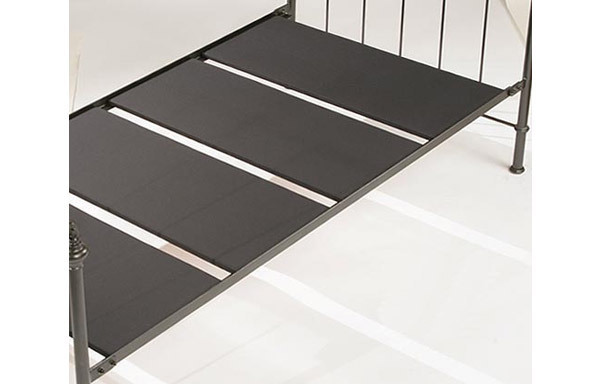 And this was it: the trundle bed pulls out with ease, and you have two distinct beds: and even the narrower version, which is the one I bought, is very fine for sleeping, and during the day it is as svelte and unobtrusive as you could wish for. I had just great service all the way; very professional, and three efficient guys brought the beds and mattresses in boxes and set everything up in a few minutes in my apartment. I would just say one thing about purchasing the more narrow version, which is special-order, you might say, rather than a standard twin size, for linens and a bedskirt. 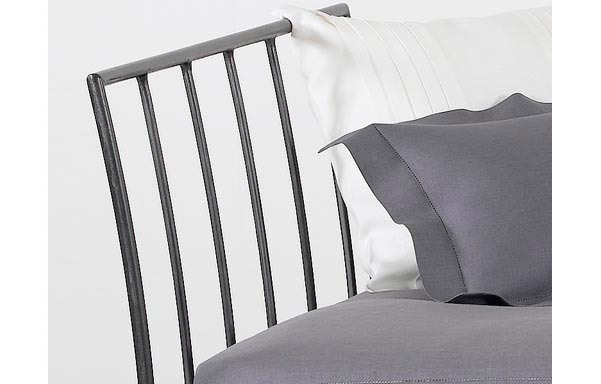 You can just use regular twin-size linens; you do not need to have custom-made sheets made up. Tintin and I thought of so many ways you can use covers for the bed during the day even without a bedskirt, and right now (February) I am using a chenille blanket, and that is all. But in the spring I may buy some Merimekko fabric and just make two mattress covers; or buy a store-made twin bedskirt and put in a few tucks."